The Linksys Smart Wi-Fi Routers can automatically detect whether you have an active internet connection or if you have issues with connectivity. Accessing the Linksys Smart Wi-Fi site when you do not have an active internet connection may display error prompts and messages on your browser. Also, even when you’re online, you may encounter login issues. On the Linksys Smart Wi-Fi Sign In page, you may see an error message that says Internet connection is down. This happens when the router is unable to detect an active internet connection from your cable or DSL provider. 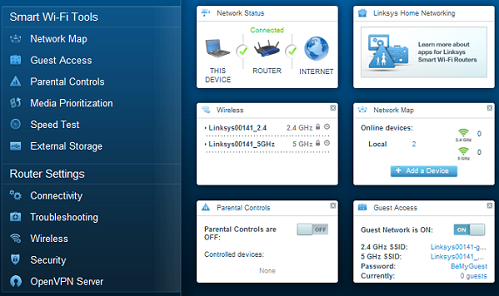 You can log in to the Linksys Smart Wi-Fi interface by entering the Router Password. The default password is admin. NOTE: For first time users, you need to create a Linksys cloud account in order to maximize the use of Linksys Smart Wi-Fi Tools. For detailed instructions on how to create an account, click here. QUICK TIP: Even if you are currently on Offline mode, notice that you can still see and update your Smart Wi-Fi Tools and Router Settings. To learn more about these tools and settings, click here. To resolve the error message, ensure that you are getting connectivity from your modem. Using an ethernet cable, connect your computer directly to the modem. Open a web browser and check if you can connect to your favorite website. To learn how to check your computer’s connection to the internet, click here. To know how to check if your computer is properly connected to the Linksys router, click here. QUICK TIP: If you are just accessing your router to manage features such as wireless and network settings for troubleshooting purposes, you can access it locally without internet connection. Click here for instructions. Additionally, you can reset the router to factory settings. To do this, simply press and hold the Reset button found at the back of your Linksys Smart Wi-Fi Router for 10 seconds. NOTE: All configuration that has been made on the router will be erased after resetting. For a detailed instruction on how to reboot and reset your router, click here. 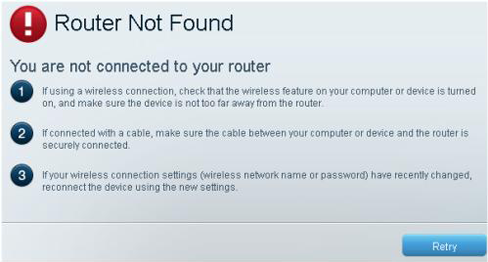 This error message occurs when you are logged in to your Linksys cloud account and it is unable to detect your router. To resolve this, follow the instructions presented on the list below. After performing the steps, click Retry. NOTE: To learn how to check your computer’s connection to the router, click here. This error message occurs if you continue to click Retry after encountering the Router Not Found message. This may also appear after performing reset on your router. To resolve this, proceed to set up your router as stated in the prompt. Tick the box that says, I understand that my network is currently open and not secure. I would like to use Linksys Smart Wi-Fi Account to configure my router’s security settings then click Continue. The Account Suspended error page appears due to many failed login attempts to your account. To resolve this issue you may opt to wait for at least 2 hours before trying again. QUICK TIP: If you are unable to remember your account details, perform a reset on your router. To reset your router, manually press and hold the Reset button for 10 seconds. Your router settings will be set back to its factory default settings after the reset. For detailed instructions on how to do this, click here. To learn more about this error and how to recover your password, click here. If you encounter this prompt, click Ok. Proceed to reset and reconfigure the router. 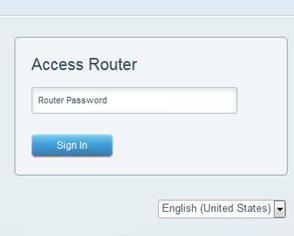 For instructions in resetting the router using your Linksys cloud account, click here. To learn how to perform a hard reset on your router, click here. NOTE: If you will be prompted to do an update for the Linksys Smart Wi-Fi, proceed with the update. To learn how to upgrade the Linksys Smart Wi-Fi Router's firmware, click here. There will also be a prompt to create a Linksys cloud account, do not skip this and create one. To learn how to create a Linksys cloud account, click here. This is a Linksys cloud access error that is a result of making a change in the configuration that is not compatible with the device, or not compatible with the functionality of the firmware. One example is if a user tries to push an invalid MAC address into the MAC Filtering settings, depending on which router they have, they may see error 2112. To resolve this issue, a factory reset of the device is required. To learn how to reset your router, click here. This occurs when there is an IPv6 related error on your network. To resolve this issue, access your Linksys cloud account and go to Router Settings > Connectivity > Internet Settings > IPv6 and disable IPv6. If this does not resolve the error, a factory reset of the device is required. 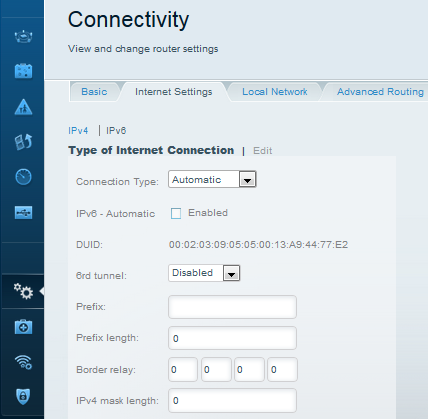 For instructions in resetting the router using your Linksys cloud account, click here. To learn how to reset your router, click here. After resetting, upgrade the firmware of the router. For instructions, click here. When the firmware has been successfully updated, do another reset then proceed on reconfiguring your router. To configure the router using the Smart Setup Wizard, click here. This error occurs when there are devices in the network that have the same name or IP address. To resolve this, turn the device/devices OFF, then turn each of them back ON one by one. 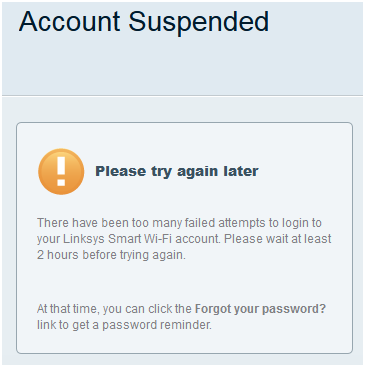 If you're still having the same problem, turn your devices OFF again then access your Linksys cloud account. The Network Map Tool allows you to rename the devices. Make sure not to use the same name for two or more devices. To learn how to access your Linksys cloud account, click here. QUICK TIP: The Device List Tool is displayed as the Network Map Tool in some of the Linksys Smart Wi-Fi Routers. This error occurs when a conflict is created when trying to configure the IP address of a router within the same range of your main router's IP address. If the DHCP Server is disabled, you can resolve this issue by re-enabling it then modifying the Start IP address. After applying the changes, un-check the box to disable the DHCP server.